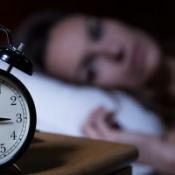 Almost everyone follows an internal bodily clock, or circadian rhythm. This clock controls when a person feels sleepy, awake, hungry, etc. Light is a strong influence on circadian rhythms. Daylight prompts the brain to produce hormones like cortisol to wake the body up. As night falls, the pineal gland produces melatonin, which makes a person feel sleepy. 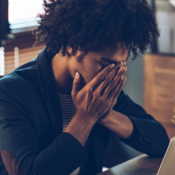 If someone could fully realign their internal clock to a night shift, they would likely see improved health. While total adaptation is rare, new research published in The Journal of Physiology shows a potential means to reach it. 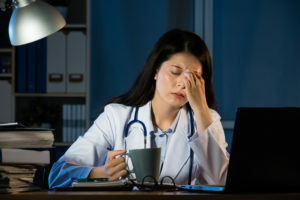 According to the study, changing light exposure to match a night shift schedule can affect people’s circadian rhythms. The study recruited 21 nursing and medical staff members working at an intensive care unit (ICU). Researchers measured recruits’ circadian rhythms by recording the melatonin levels in their urine. The study measured participants’ light exposure using wrist actigraphs. Researchers first collected data from recruits as they worked a series of day shifts (or had days off). Then, recruits took three to four night shifts in a row. The researchers then looked at how participants’ internal clocks reacted to the transition. The timing of light exposure was the most significant predictor of how participants’ bodies responded. In fact, 71% of the differences among recruits were due to light exposure. These results suggest altering someone’s pattern of light exposure might help them adapt to night shifts. For instance, more light at night could help a person sleep during the day and remain awake at night. However, researchers caution that a one-size-fits-all approach will likely be ineffective. The effects of light exposure depended on a person’s internal clock rather than specific time of day. In other words, “morning” and “evening” people may need different interventions. If you are experiencing sleep issues due to shift work or other causes, help is available. A therapist can help you reduce symptoms and improve your mood. Sleep conditions are treatable.